All of us know that Kashmir is very beautiful and its beauty is marvelous. Kashmir is always considered as a heaven on earth. If you are a traveler then you should visit Kashmir at least once in a lifetime. Kashmir is a very beautiful place. I visited Kashmir last Year, and then I came to know that how could it possible in a contest of nature that some place on earth also known as heaven on earth. High mountains, fast-flowing River, green and peaceful environment is enough to feel that awesomeness of that mind-blowing place. When you visit the beautiful Srinagar then you will explore most beautiful gardens which are kept maintain their decorum from hundreds of years. Most of the gardens in Srinagar that is capital too of the state are made by Mughals emperors to spend a luxurious life in the lap of nature in the hot summer seasons. If you are a nature lover then you will definitely fall in love with Srinagar and its undefined beauty. Here are some places in Srinagar that memories give me enormous happiness even till today with Travel Binz. Nishat Bagh is the largest garden in Kashmir valley. This garden made by Mugals as well. This beautiful garden is a terrace garden actually, which is consisting of various kinds of plants and flower species. This garden is situated on the western side of Dal Lake. Another Beautiful garden in Srinagar is the Shalimar Garden. The beauty of this garden is that this garden is connected with a northeast bank of Dal Lake through a channel. This garden was made by Mughal Emperor Jahangir in 1619. In this garden, you will see an example of Mugals’s horticulture. The channel which connected the garden to the Dal Lake is completely undefined, it is marvelous and the finest example of Mugal’s time architecture. Dal Lake one of my favorite visiting points in Srinagar, This Lake, and its beauty is truly magnificent. When you will explore this lake then don’t forget about the Shikara drive, that is the best part of this lake. 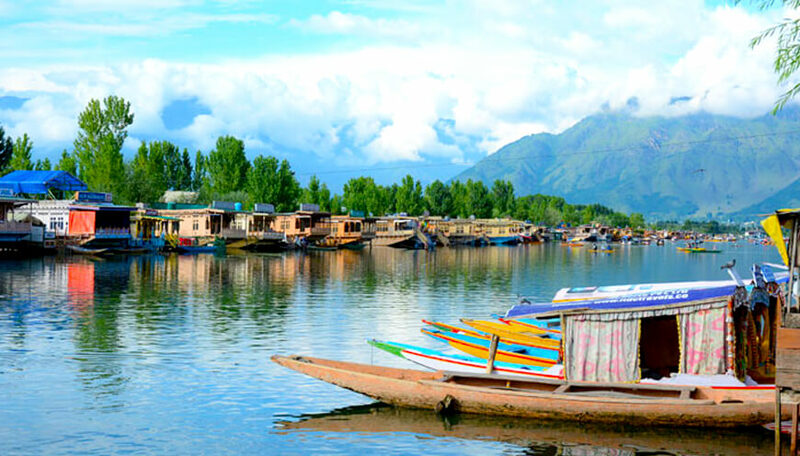 In Dal Lake, you will see the floating market and a floating garden. Besides in Dal Lake, you will also see the houses of locals Kashmir’s people who are living in those home very comfortably. That thing which I never ever forget throughout my lifetime that is the crystal clear water of that lake, you can see everything inside the water while you do boating in Shikara in the Dal Lake. This temple is situated on Zabarawan Mountains in Srinagar and dedicated to Lord Shiv. This temple is built in 200 BC. Once Adi Shankaracharya visited this temple till then this temple have been associated with him. To explain the beauty of Srinagar I have not enough words. If you also want to explore this beautiful place then Travel Binz Reviews would be the best choice for you to book your trip to Kashmir at a very reasonable rate so that you can enjoy the heaven on earth fully.